They call it a Cracker Jar, but really this glass canister can hold just about anything! Rice, sugar, flour, cookies, coffee beans, jelly beans…if you can fit it in this jar, you can store it in this jar. 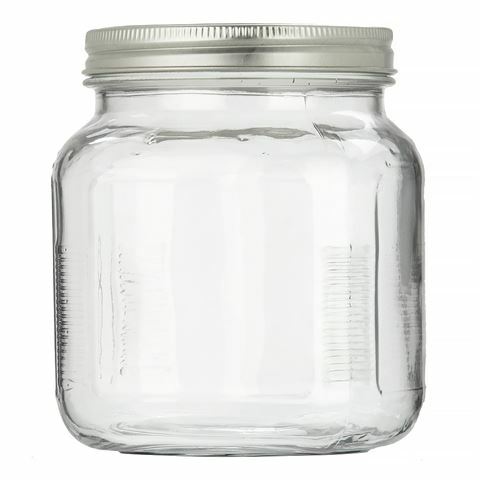 Its screw-top lid fixes on tightly, keeping the contents fresher for longer. Glass made in the USA.